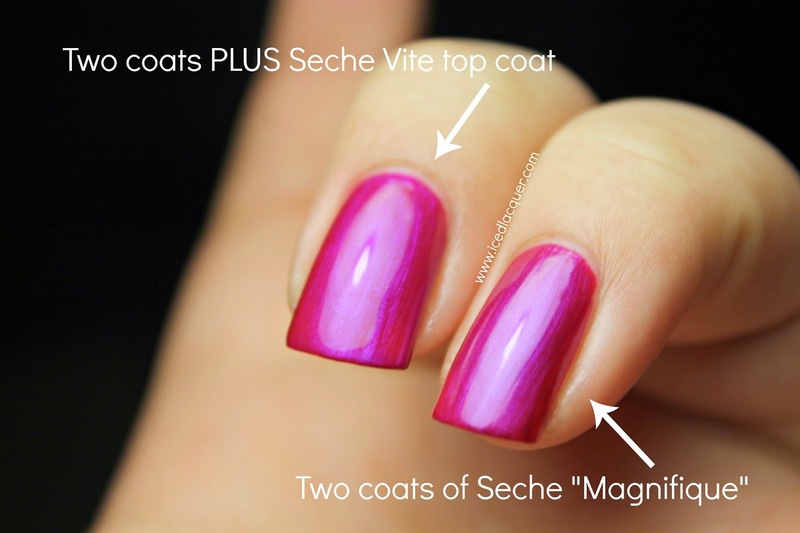 Live Love Polish: Seche Vite and Seche "Magnifique"
Hi readers! Today I have a review for you of a Seche nail color as well as Seche Vite quick drying top coat provided by Live Love Polish. When I was first contacted by them and asked if I would like to try some Seche products I jumped at the opportunity! 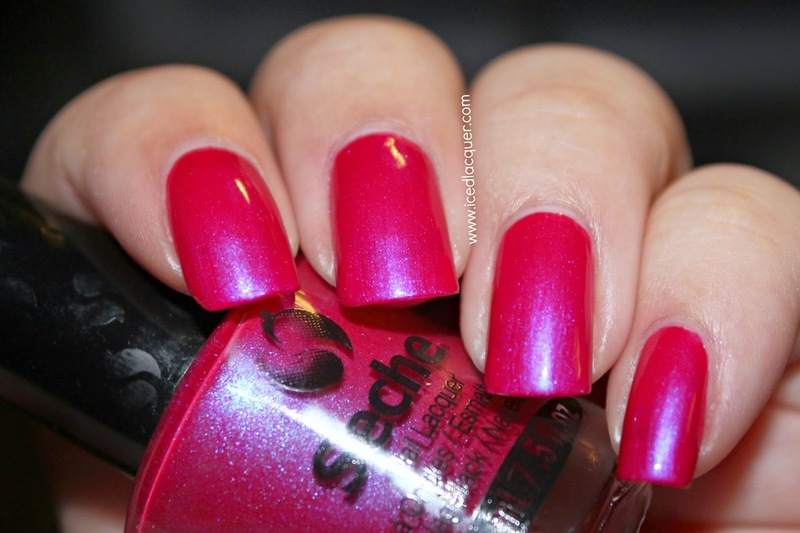 Seche Vite has been a staple in my nail polish stash for years and I use it as my top coat in most of the swatch photos I post. I've always wanted to try one of the Seche nail colors, so this was perfect! "Magnifique" - A shimmering magenta filled with a strong blue duochrome flash. Application was flawless. This polish almost applied itself! Most magenta shades like this that I've tried (off the top of my head I'm thinking of Orly "Oh Cabana Boy" and Sally Hansen "Back to the Fuchsia") tend to be on the thinner side and require about three coats to be fully opaque. This shade is almost a one-coater! I added a second coat out of habit and topped it with the Seche Vite top coat. You can see in this photo above that "Magnifique" by itself is quite shiny. I really hope the rest of the colors in the Seche line are like this because I definitely appreciate a polish that doesn't need a top coat to look great. At an angle you can really seen that blue shimmer come alive. I don't usually use flash for my photos, but I felt that it helped to show (in the photo below) what the shimmer looks like in person! My thoughts? I love Seche Vite so I'm glad that I can now say I like the Seche brand of nail colors as well. Oh and did I mention that "Magnifique" dried super fast? It makes sense considering Seche Vite is one of the quickest drying top coats out there! When it comes to more basic cremes and shimmers like this I will always go for the brand that has the easiest formula. 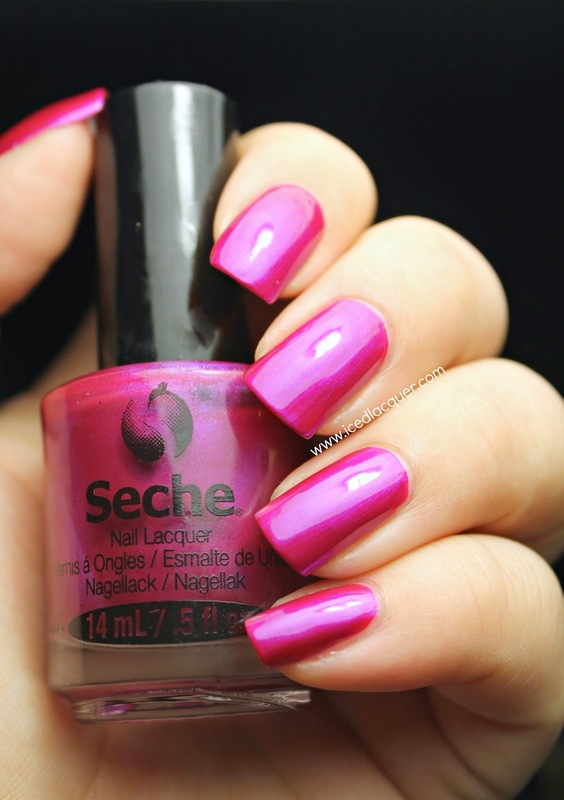 You can find these and other Seche products in the Live Love Polish shop. Head on over and follow Live Love Polish on Facebook and Instagram! Thanks so much for reading! This is phenomenal. What a wonderful pink!